We have made this service tray of bamboo harvested from controlled forest. 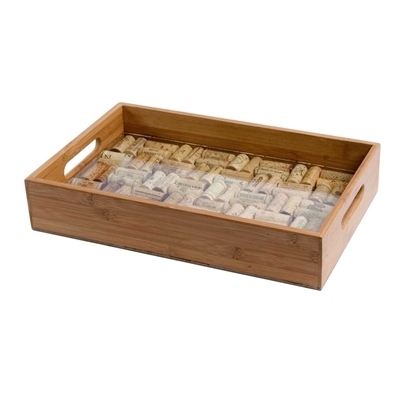 Now it is up to you to personalize it with corks from favorite bottles of wine. 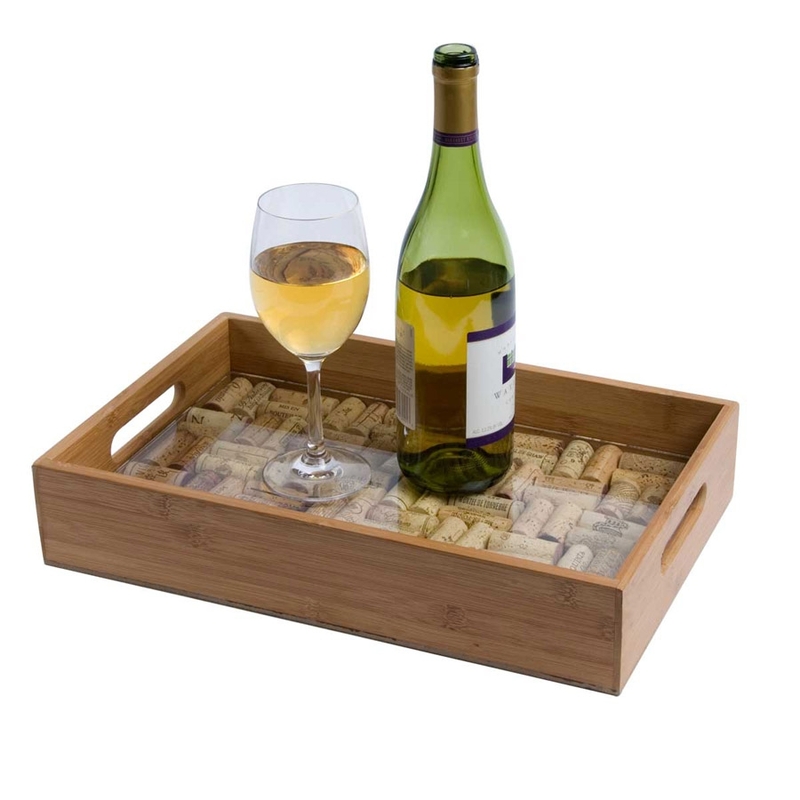 Features a sturdy frame constructed entirely from bamboo, a glass topper to protect your corks from drips and spills, and a food-safe glue to keep corks secure. Perfect for bringing out the night's hors d'oeuvres or a meal for two.